Will the Obama Kids Stay in Chicago with Grandma? As the Obamas struggle to shield their daughters from the national spotlight, they’ve considered leaving their daughters in Chicago with their grandmother to finish out the school year. Michelle Obama is fixed on keeping her daughters on a normal school schedule. An exception was made for last Wednesday morning, however. “The girls slept in a bit this morning, but we’ll be to school by 10,” she told officials at the Hyde Park school that Sasha and Malia attend. As the youngest residents-to-be at the White House since the Kennedy administration, the girls have already become a focus of scrutiny, and have triggered predictable jockeying among Washington’s top schools. But a person close to the Obamas says they have also considered allowing them to finish up the academic year in Chicago. One plan being discussed is for them to stay in the care of their grandmother, Marian Robinson. Founded by John Dewey and populated by the children of the university’s faculty and staff—who call themselves the “lab rats”—the Chicago Lab School regularly ranks among the top preparatory schools in the United States. Both Barack and Michelle Obama have affiliations with the university that make their children eligible to attend—Barack as a former professor at the law school and Michelle as an officer at the University of Chicago Hospitals. But Michelle Obama has also quietly toured two private schools in Washington, Georgetown Day School and Chelsea Clinton’s alma mater, the Sidwell Friends School. And yesterday, Washington Mayor Adrian Fenty said the president-elect’s family has discussed public school options for their two daughters with city officials. Still, even in Chicago, the girls’ school has already become a zoo, crawling with reporters and Secret Service agents. Sasha and Malia have been delivered to school every morning since the election by one or both of their parents, who even made a point of attending a parent-teacher conference last week. When Michelle Obama dropped her daughters off the morning after the election, Joe Boisvert, a student, snapped the photo above. On Thursday, the scene was equally hectic. A long column of black Secret Service SUVs and police cars pulled up on the University of Chicago’s Midway, with a bus of journalists in tow. It was the president-elect dropping his daughters off. Barack Obama walked his charges through the school, and lingered a bit to talk with some fourth-graders. It was an electrifying experience, one student reported, but it wasn’t his first encounter with the Obamas, who are regulars at school functions. Others express concerns about the heightened security and media presence at the school. “It’s been exciting,” said one fifth-grader, “but twice last week I had to fight my way past the reporters to get in to school. And we’re all a little concerned about the Secret Service agents. Is it true they carry Uzis?” Another student said he and his father were blocked from entering the school by nervous Secret Service agents, who tried to clear the area in front of the building for the new first family. Understandably concerned about protecting the privacy of her daughters, Michelle Obama recently sought out advice from the last first lady to cope with a school-age child in the White House, Hillary Clinton. The Clintons were highly protective of Chelsea’s privacy while she was in the White House; Chelsea was strictly off-limits to the press and was able to engage in routine socializing, receiving visitors, having sleepovers, and attending parties. This set the model that Michelle Obama is intent on emulating. 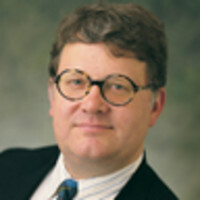 Scott Horton is a law professor and writer on legal and national security affairs for Harper's Magazine and The American Lawyer, among other publications.